I've had pretty good luck using GP11 as "Mexican Match", pulling the bullet with a Hornady collet too and doing a direct replacement with a 175 SMK. 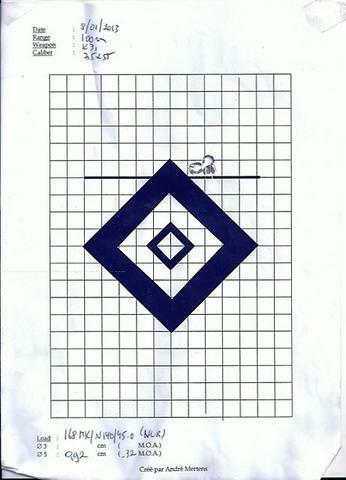 For me, in my Remington 700 experiment, GP11 turned out to be, well, as accurate as expected but with regular fliers.... I don't get them with the MM. 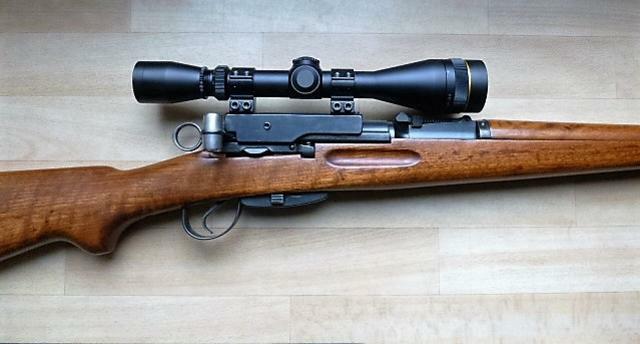 My scoped K31 likes 168 SMK/N 140/ 45.0. 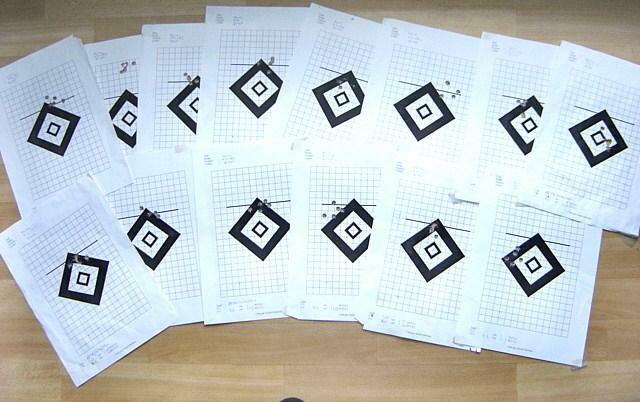 Here are some 5-shot groups at 100 m.
And here's a closer look at the second last of these groups. Last edited by Andre-Richard on Tue Jul 18, 2017 11:44 am, edited 1 time in total. Very nice, my experience has been the same using Prvi Partizan boxer cases realoaded with Winchester LR primer, 50 grains of Aliant R17 and Hornady 186gr BTHP match bullets. I seat them just a few though off the lands as my K31 likes a short jump. I tuned one of my K31s following Pierre St Marie's directions at Swiss rifles dot com forums. It made an amazing difference. Andre-Richard, trust me, both professrh and I will believe you! In fact, I went a step further. I picked up a stock made in Kentucky by Mickey McGuinness, specifically for the K31 which specifically centres the barrel in the barrel channel of the forestock and totally free-floats the barrel. 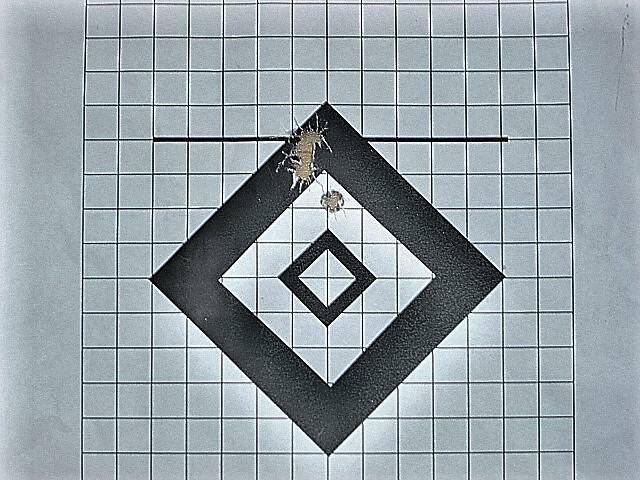 From what I have seen, the rifle's potential is really only limited by the shooter! Not sure. I'm using KV Tulammo Berdan primers that I have bought in Canada. I already owned the old Lachmiller berdan decapper and used it to decap GP11 brass when I acquired my 1st. K31 (had 3 so far). However berdan primers have always been in short supply (most retailers don't stock them and they have to be special ordered). PRVI/PPU boxer brass is available and of excellent quality (I already used it in .30-06, 8x57JS, 6,5x55 SE and .303 Br. with full satisfaction), so I went the same route with the 7,5 SW. Accuracy with 168 SMK even beats GP11 and so far, I've not lost a single case in 12 reloads (NB : I partial/neck size all rifle brass). Excellent if you're getting 12 reloads!! Do you anneal? At what point?